Dianella tasmanica variegata will light up a dark space in a garden. The White Striped Flax Lily requires little supplemental water once established. Dianella tasmanica variegata grows best in the shade. Dianella tasmanica variegata produces blue flowers in the Spring and metallic blue fruits in the Summer. 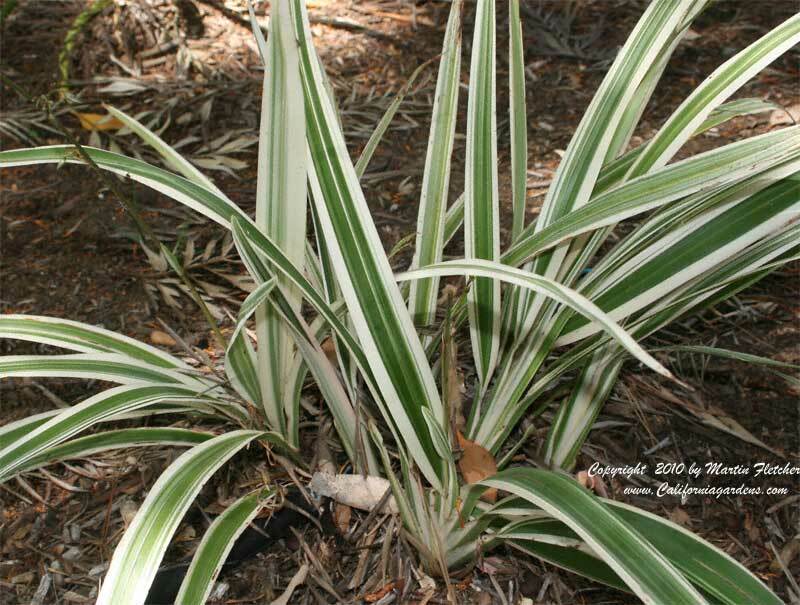 I plant the White Striped Flax Lily for the clean white of the variegation, the fruit and flowers are a bonus. Dianella tasmanica variegata is Winter hardy into the mid to low teens. Flowers and foliage of Dianella tasmanica variegata - White Striped Flax Lily. High resolution photos are part of our garden image collection.